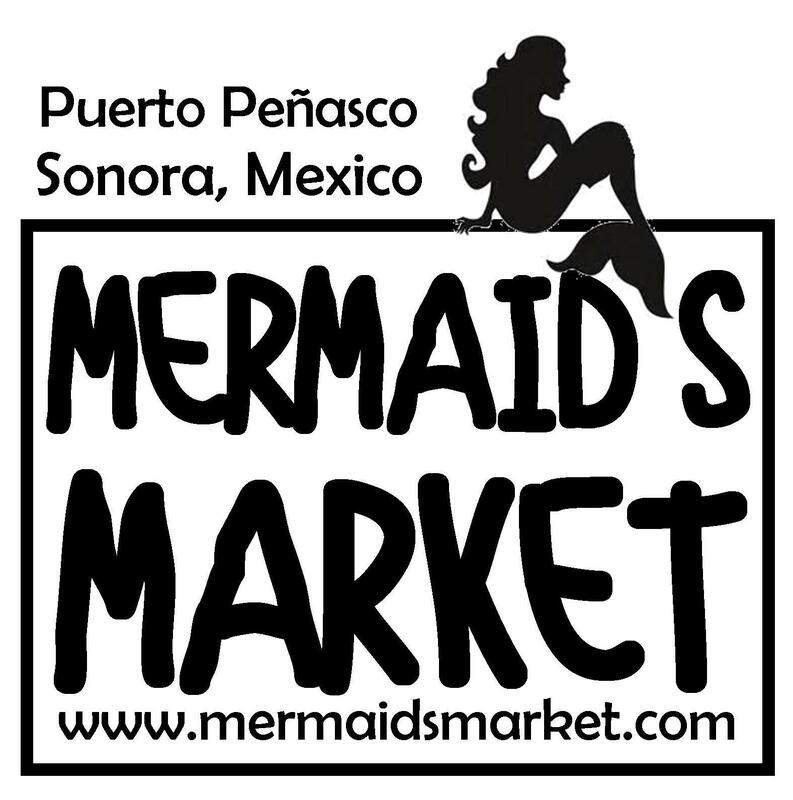 The Mermaid's Market is a "Brick and Mortar" Artisan's Street Market held the first and third Saturdays (from mid-October thru April each year) in Puerto Peñasco, Sonora, Mexico at the Shrimp Plaza in the center of town. The Mermaid’s Market is going into its 5th year here in Puerto Peñasco. It will start up again the third Saturday of October and continue each first and third Saturday of the month through the first week of April. It is great fun and shows the talent that we have here in our little seaside town when it comes to art and the crafts that these artisans can accomplish. Our artists pay a small fee to be with us on those selected Saturdays in the downtown park known as Shrimp Plaza. A portion of that fee is set aside to be donated to our town's local DIF program. We make the donations twice each season: one in December and one after our finale in April. We think it makes a difference and we know that DIF appreciates the little extra bit of support the Mermaid's Market provides. After a lengthy conversation with Linda Pivac de Munro (the first lady of Peñasco) I learned a lot more about what her passion is regarding DIF and it’s activities. Our DIF office (Development of Integral Families) is all about helping locals. One area that this administration is committed to is that of Education. As of right now there are 83 low income kids from Puerto Peñasco receiving a better education because of DIF. Each of these students were chosen because they are drug free, have good grades and work ethic along with having a financial need. Most of them are enrolled in local schools; however, eight of the students are in a “student house” in Mexicali and are attending University there. The rent of the house, the utilities and the University, are all paid for by DIF Peñasco. DIF raises money in several different ways for their programs. Many events have a donation to DIF built in. Sonoran Resorts is a big supporter with their Las Vegas Nights program held each year. 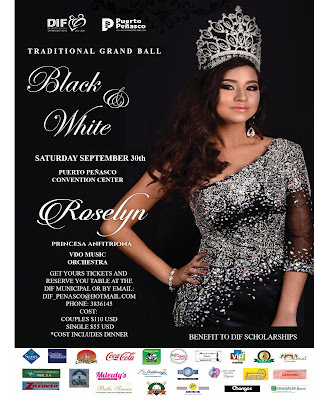 The event that raises the most money for the kids at DIF is the annual Black and White Ball. This is a night to dress up and enjoy a fine meal. The proceeds all go to DIF. Here is an invitation to this year's Ball. 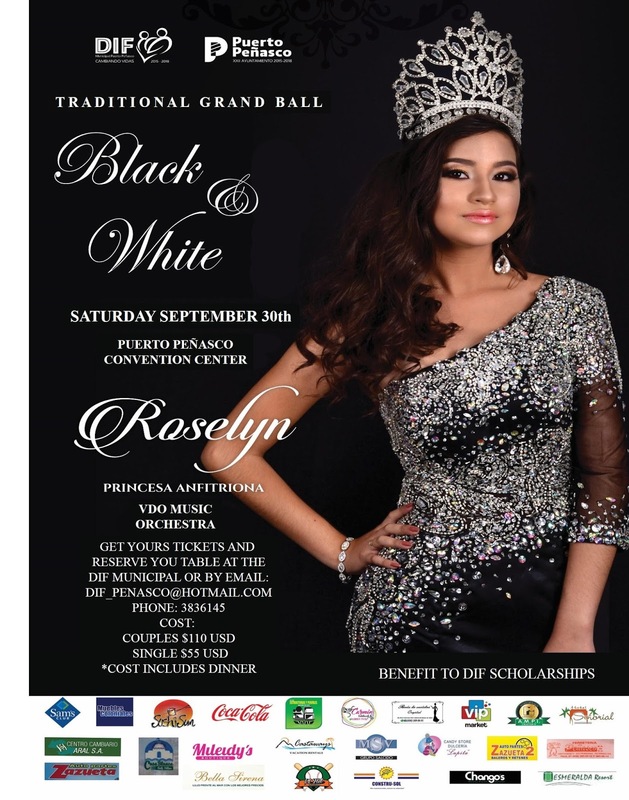 It will be held at the Convention Center in Puerto Peñasco on September 30th. In the past, the event was all in Spanish. This year parts of the presentations may be in English which will make it more interesting for anyone who doesn't speak Spanish. Enjoy a relaxing dinner. And, the Orchestra music presentation promises to be incredible. So, get out your best Black and White. . .and enjoy a fun evening. When you purchase your tickets, please let them know that you read about it from the Mermaid’s Market! Be sure to visit us at the Mermaid’s Market in Shrimp Plaza the first and the third Saturday each month starting October 21st! "I am Really a Mermaid!"